Oh MSFs how I've come to love thee. I wasn't one to bother with highlighting, but ever since I got Laura Mercier's Illuminator I've become a bit obsessed. 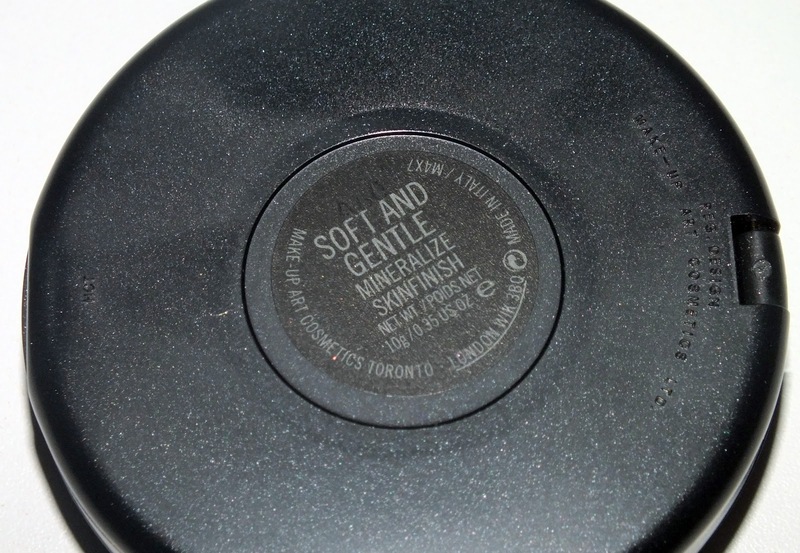 The natural progression led me to MAC's Mineralize Skinfinishes. While there are many many MSFs, most are limited edition. There are two in the core collection, one of which being Soft and Gentle. Soft and Gentle is described as a 'gilded peach bronze' which is a pretty good description. This looks a bit dark in the pan, but it applies to be a beautiful light peachy bronze. The texture is smooth and refined, no large glitter here. That said, you can easily over do it with this, so go easy. I think that this particular MSF could suit anyone as the colour is light and natural. When applied correctly it gives skin a glowing, beautiful 'je ne c'est quoi'. I know that at $33.50 CAD they are a bit pricey, but they're large, and will last you forever. Plus, it is fun to be able to splurge on a little something every now and then. Do you have a fave MSF? Which one?